Vapor devices in Kentucky were spared – once again. Tobacco products, however, suffered an excise tax increase of 50 cents. A win for vapor consumers, for sure. A loss, however, for tobacco farmers, the Lexington (Ky.) Herald-Leader reported. As tobacco giants continue to reinvent their product line to include “smoke-free products” and safer alternatives to nicotine cigarettes, it’s easy to understand why Richmond, Va.-based Altria “invested” $379,760 to lobby Kentucky state legislators for the disparity in tax rates. Companies like Altria are seeking a “future beyond cigarettes,” according to the Herald-Leader. Altria is poised to release IQOS, which is fueled by highly concentrated tobacco, not e-liquid. The tobacco concentrate is so minimal, however, Kentucky farmers likely will not benefit from the ruling. 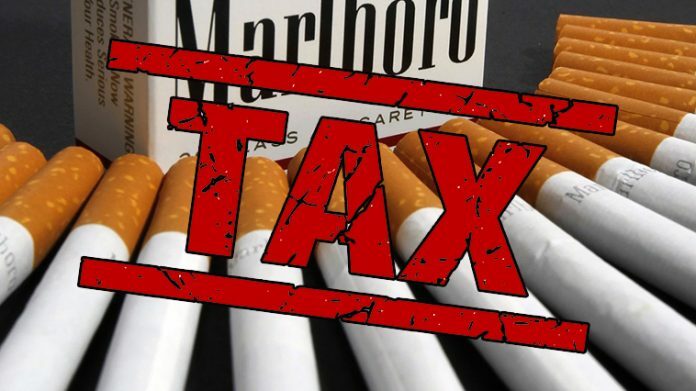 To help forge the new Kentucky excise tax legislation, Altria Director of Government Relations for State Government Affairs John Rainey met secretly with top Republican lawmakers, according to the Courier Journal of Louisville, Ky.
Kentucky residents, beginning July 1, will be forced to pay a $1.10 state excise state on each pack of cigarettes. The national average rate is $1.73 per pack, the Herald-Leader reported. The Kentucky excise tax is “not expected to make much of a dent” in the state’s smoking rates, but likely will impact cigarette sales. The Herald-Leader reported industry insiders are predicting a decline of 55 million packs nationwide and 7.5 million packs in Kentucky, which faces one of the nation’s highest cancer death rates. The 300-page legislation initially intended to raise the cigarette excise tax to $1. The final approval developed behind closed doors, with no public vetting, and only a few hours of floor debate, the Herald-Leader reported. Kentucky Republicans, who hold the majority, left e-sigs untaxed, a curious move considering the party is historically pro-farmer. Bad for tobacco farmers attempting to scratch out a living.